Multiple Day Curls: Are They A Unicorn? 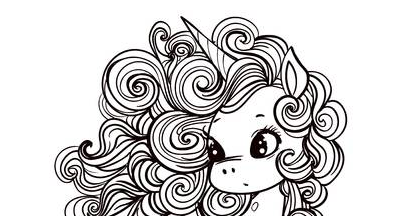 MYTH Awesome looking multiple-day curls are a unicorn: mythical and non-existent. TRUTH You CAN get multiple-day curls, but you need to be realistic about your expectations! There are a few things you should understand before attempting second or third day hair. First, achieving your best style possible on day one puts you in the best position to have the best result on day two (and beyond). This means that you need to practice and be intentional with your day one routine, especially if your routine is new to you.. Second, you need to have realistic expectations for your second day hair; second and third day curls will not look like a fresh, day one set! Second day curls typically take more effort than you think – most of us cannot just wake up, quick spritz and go! The point is to save you time and effort (from rewashing & styling), but you can’t expect to spend no time at all. You may need to reactivate your products with water (and a lot of it!) and you may need to add product to your hair. Using gel can reduce your frizz “halo” and help smooth out second day curls. Third, keep in mind that curl dysmorphia, or seeing “flaws” in your curls that nobody else sees, plays a big part in how you feel about your curls after day one. 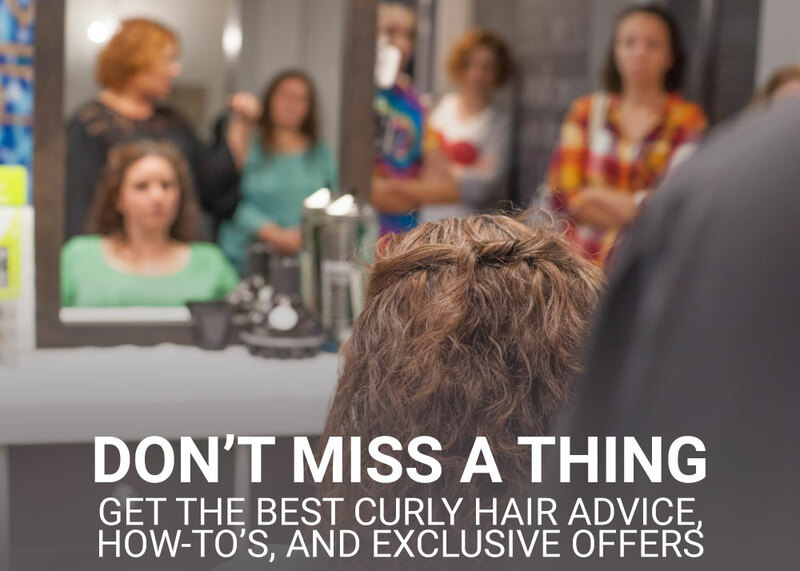 The longer you practice your routine and the better you know your hair, the easier it will be to understand what is realistic and possible for your multiple day curls. Finally, just as seasons change, hair styling routines need to too! It is unlikely that your routine stays precisely the same all 12 months of the year, so your day two and beyond routine will change as well. Remember, there is no pressure to avoid washing! There is a misconception that washing your hair daily is bad. If you’re using curl friendly cleansers, you can wash every day (if you want to or need to). Giving your curls a good scrub not only gets them clean, but it’s necessary for the health of your hair and scalp! 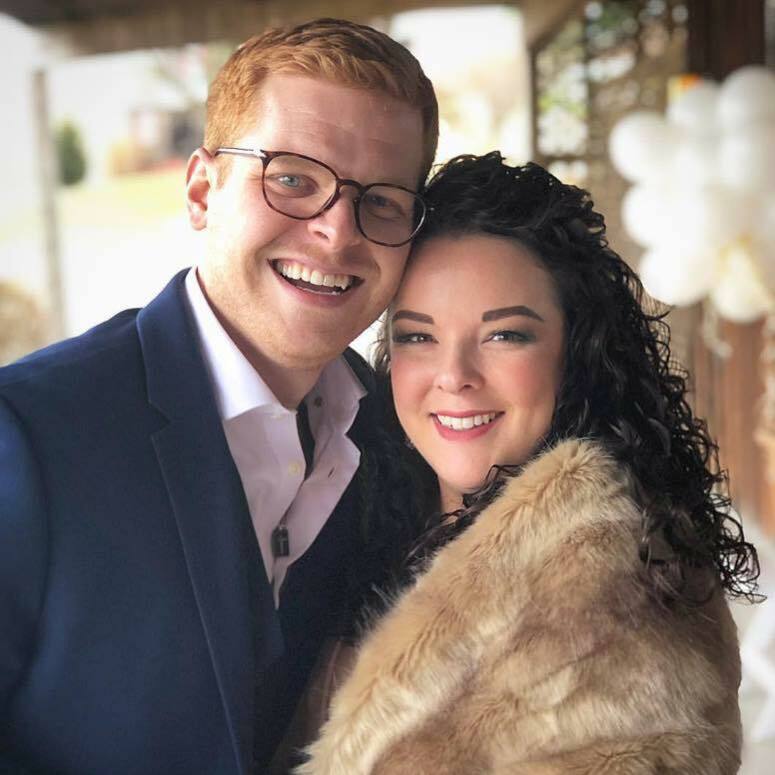 Talk to Team Kindred Curl at your next appointment about what products and steps we may recommend for you to try to extend your style between washes. Satin lined shower caps and satin pillowcases are a great place to start when thinking extending your style – and both are now available for purchase at Kindred Curl! Team Kindred Curl thanks all of you for who have been sending Kelly well wishes in her recovery from shoulder surgery and for inquiring about her progress. We are happy to report that Kelly is doing well and has received a good post-surgery report from her doctor. While she’s recovering, Janaya has been accommodating as many clients as possible. A huge THANK YOU to all of you who have been so understanding, flexible and willing to reschedule with Janaya. While we look forward to Kelly’s return, we’re proud of how our team has adapted and we are grateful to all of you for your support! And in case you’re wondering, Kelly is doing an awesome job styling her own hair with only one arm – she’s even achieved amazing multiple day curls! We love hearing from our clients! Abby Krehl has been a client since 2017 and we look forward to seeing her every time she comes in. Thanks for the kudos, Abby! MYTH Curly hair and brushes are like oil and water. Do. Not. Mix. FACT If you’re using the right brush and in the right place of your routine, it can actually be very beneficial! Using a wet brush at the proper place in our routines can make managing and styling curls much faster and easier. Typically, we suggest using a wet brush when you have your conditioner on in the shower. The most important and often missed step in everyone’s routine is to work your conditioner through your hair well. We mean it: work it, and for longer than you think! A wet brush can save you time with this step! First, apply your conditioner and begin working it through your hair you’re your fingers, detangling as much as possible. The condition of your curls and your curl type will determine how much time you spend working your conditioner with your fingers. Once you have worked your conditioner with your fingers, you can use a wet brush to fully detangle and really work your conditioner through – it’s much quicker and easier than using only your fingers. Start by gently brushing the ends first and slowly work up to your roots. Using the wet brush here will give your finished curls a more polished look. 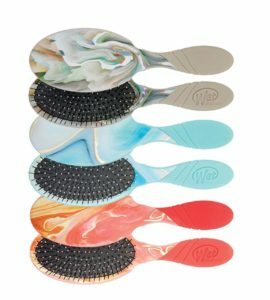 You can also use a wet brush to work your products into your hair. Using this process for the moisturizing step can help to group your curls during styling and can result in a smoother finish in your style. 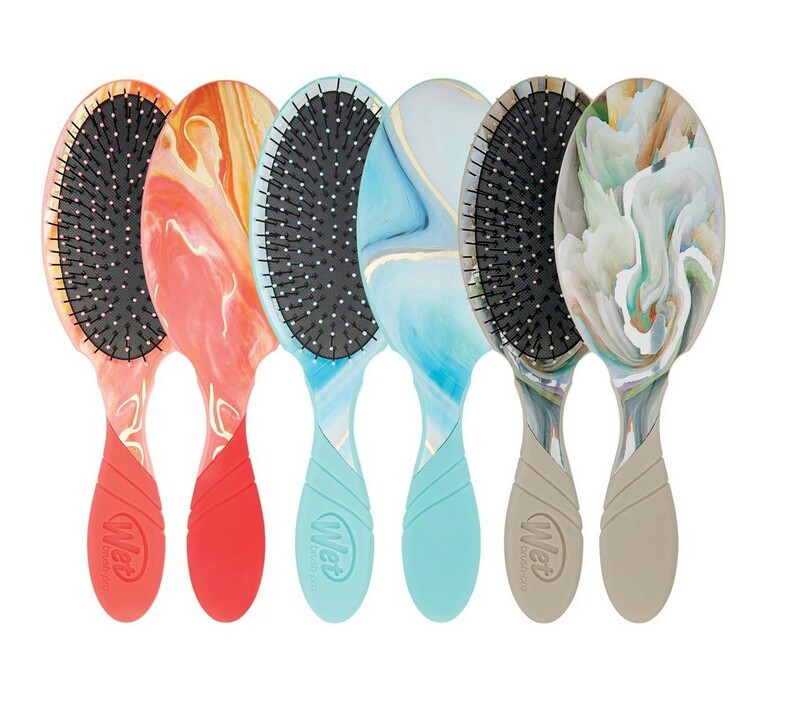 Let us know if you’d like to try a wet brush at your next appointment. Team Kindred Curl can help you decide the best way for you to incorporate one into your routine. 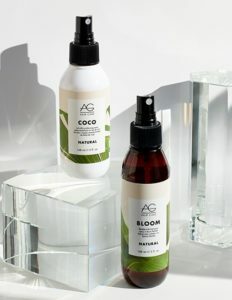 New to the AG Naturals line, both Coco and Bloom are formulated with over 98% plant based, naturally derived ingredients. Coco nourishes hair like a super-food smoothie! Coconut oil, coconut fruit extract, macadamia extract and mango seed butter help detangle, strengthen and hydrate, leaving hair feeling soft and manageable. This lightweight spray is ideal for any curls that are prone to tangling or knotting. Bloom is a versatile working hairspray you can layer. Hydrolyzed corn starch and sugar cane extract are natural polymers that deliver volume and long-lasting hold. Pea peptides help strengthen hair while sweet almond seed, olive and rosemary extracts add natural shine. Named after it’s unique spray pattern, the non-aerosol, low-alcohol, quick-dry mist creates a light, wide bloom. We love them both – which would you like to try?